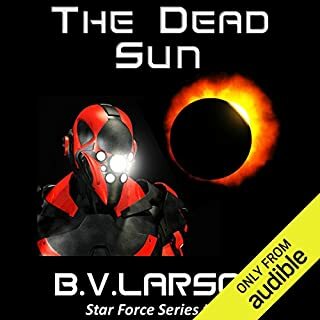 Kyle Riggs has been away from Earth for a long time… but that's about to change. 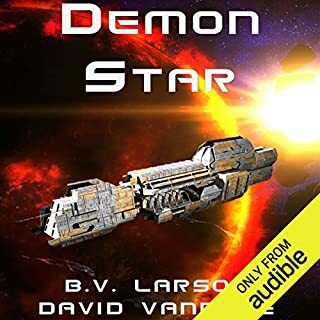 A three-way battle for the known star systems breaks out, with the fates of many worlds and species hanging in the balance. 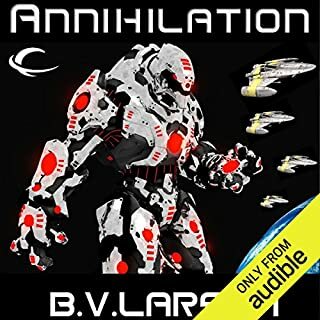 Riggs realizes he must destroy his enemies before they destroy him. Seeking justice and revenge, he gathers his strength and ventures out on a mission of conquest from the Eden System. Humanity must fight to survive, and Riggs is the right man for the job. 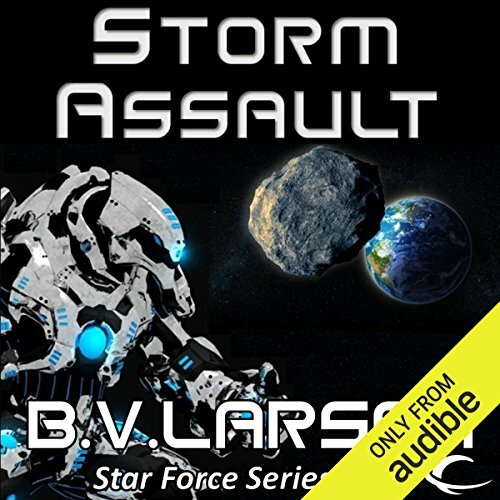 Storm Assault is a military science-fiction novel by best-selling author B. V. Larson. 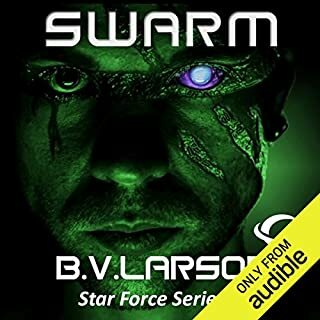 To listen to the series in its entirety, start with Swarm (Book 1). I am shocked. Fans who've been following the series know that Krowe needs to be taken down and now it's about to happen. But it's not JUST Emperor Krowe and the Imperialists Kyle has to worry about. 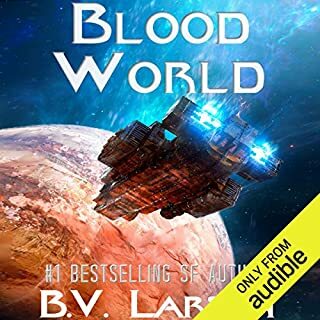 The Blues have been up to no good and show their hand before Kyle and crew can even make it out of the Eden system to return to earth. What new abomination has The Blues created this time. 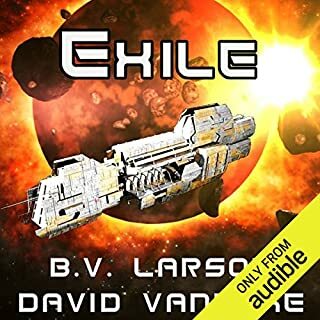 How can they possible return to Earth and overthrow Krowe? What kinds of traps has Krowe laid for them along the journey back? What new creatures will we meet? What woman will Kyle choose? What's Marvin going to get into? This is what we've all been waiting for and it isn't predictable and doesn't disappoint. I can't wait for more. I missed Sandra though. What a loss. As always Mark Boyett does a phenomenal job narrating. I really enjoy his voice for Marvin and The Blues. He really brings out the humor. 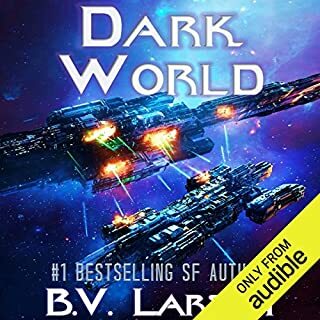 Again Larson gives a decent science fiction story but holy crap this guy just cannot write female characters. They're all crazy, whores or both. And the love scenes are so ham fisted and tacked on. He needs to stay away from these or get an editor to help him. Glad he avoided talking about women crossing their arms under their breasts (who says that?). This story was less repetitive than the previous book but he could've cut a good hour out of it for the same effect. He's improving but needs an editor to be good. I’m pretty torn about this book. 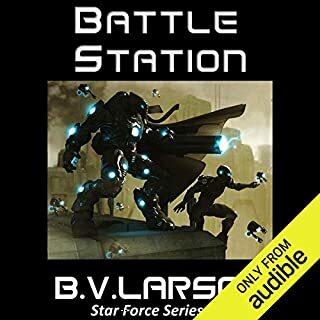 I’ve tried to be patient with BV Larsson’s lack of true understanding of basic discipline, military organization and tactics but good god this book is ridiculous. 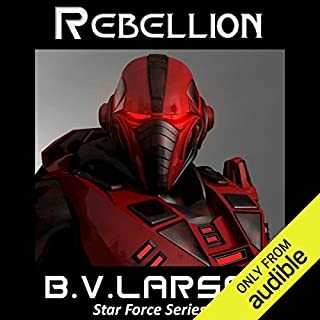 Kyle Riggs is the most idiotic, unrealistic and narcissistic main character that I’ve ever had to slog through in 40 odd years of reading scifi. 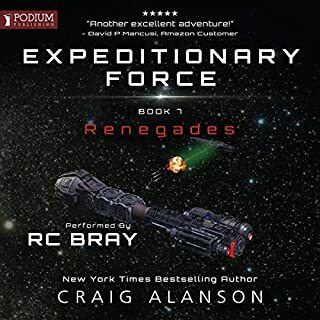 The book has great action if you can get past the childish attempt at military doctrine and basic character development. 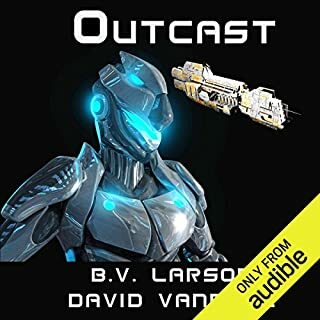 Mark Boyett yet again makes this book tolerable on Audible. The books have gone downhill as they progress. Not sure I’ll get through the remaining 4. THE END. or. . . . I know this book isn't the last one in the series. I have kindle unlimited and I have 12 already downloaded. 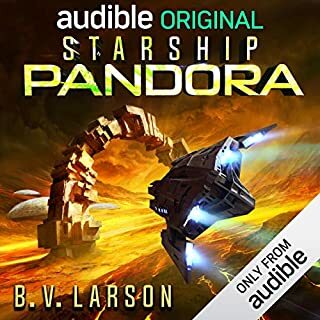 you can pay just $2 to ADD the audio book if you get the book (free) with kindle unlimited but it says you can't borrow the audio book for free as part of your Kindle unlimited. I think 2 of the 12 series will cost you $2. I paid $17 each for the first 4 so that's ok with me. The story was kind of monotonous for the last couple books but it gets interesting in this book. If the author were to end it here it would be perfect. This seems very much to he the end. 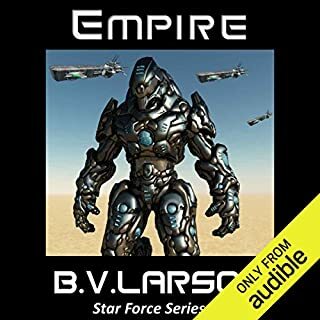 I wish I could tell everyone about BV Larson. 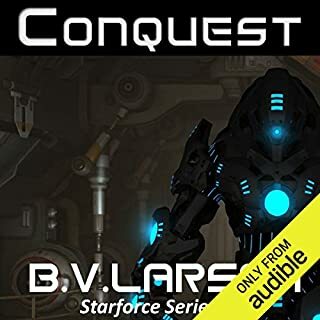 Mark Boyett is the best narrator I've EVER listened to. It's amazing how Riggs can go from no hope to wow. Now his most challenging moment is waiting for him. 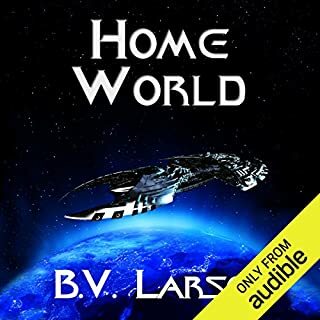 Love this book, story, series. What made the experience of listening to Storm Assault the most enjoyable? Really both story, never got old, the reading, great style, voices, constancy. Never a dull moment. Great twists and turns, great character development. I found no mistakes and very, very few errors. I binged on the series, spending many days listening. If you like this genre, you will love, love, love these books! 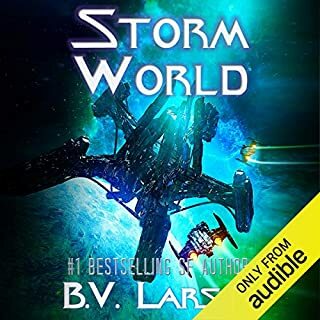 What other book might you compare Storm Assault to and why? 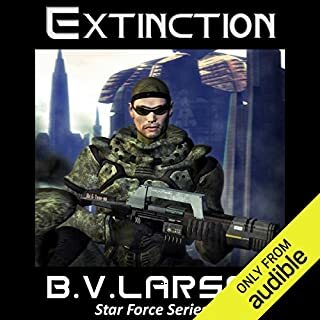 Star Force series, by Ian Douglas. I like the spots with Quan, that guy was great, funny, my kind of guy. Yes, you will not be disappointed!!! Two birds with one moon. What did you love best about Storm Assault? Marvin. That crazy robot is the best. Resolution. Riggs finally kicked his enemies asses and one at least one side of the conflict. Mark Boyett is great. The guy can really tell a story and he does characters well and always is able to line up his characters never straying from tone or accent. This really helps you to stay in the story. If you could sum up Storm Assault in three words, what would they be? 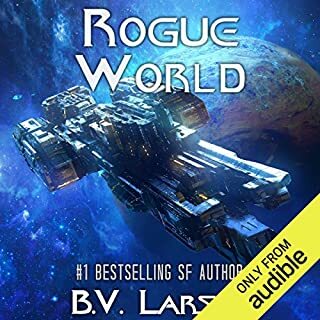 The EIGHTH book in this series and I still couldn't stop listening until it was finished! I listened to it straight through! THAT is the way to write a series!!! I was impressed with the way Mr. Larson finished the book too... It could be a "Solid Ending", OR it could continue! Seeing the Blues attempt to fight back. What was one of the most memorable moments of Storm Assault? Crow and Riggs meeting after all the years, and seeing what Crowe had done to himself in his fear over Riggs and Star Force. General Kerr being caught by Star Force. When Crowe attempts to kill Jasmine. A good book. Again you can see its just a set up book for whats to come. But its by no means a bad book!!! Riggs has grown and changed a lot since the beginning. He is still having to come to terms over Sandra and hopefully with this he can finally close that chapter and move on to face the Macros and Blues. The Macros have been awfully quiet and I think they will be back with a vengeance since they failed to take Earth.